For many people, New Year’s is about change. Whether it’s resolving to lose weight, learn a new language or connect with old friends, January 1st gives everyone an excuse to make the changes they need in their life. But have you ever considered setting financial goals? Creating smart money habits will benefit you beyond the new year, and a little effort can go a long way when it comes to your finances. Here are some ways you can up your savings game in 2016. If you do one thing this year, start an emergency fund. Without a designated fund, small emergencies can snowball into large financial issues. You can use emergency funds to pay for minor, unexpected problems or huge, life­changing disasters. The important part is being prepared. For example, if you need new tires and don’t have the cash to buy them, you’ll have to put them on a credit card. The average cost of four new tires is $637. With a verage credit card interest rates at 17%, your new tires have just bought you a one­way ticket to debt. But how much should you put aside? If your job is stable, you can get away with three month’s worth of expenses. If you own a home or are self­employed, it’s better to save six months to a year’s worth. For people paying off debt or living on a low salary, keep at least $1,000. When your emergency fund dips low, consider living on a shoestring budget until you get it back up. Only use the money for unpleasant surprises like a car accident, trip to a funeral or hospital visit. It’s better to cut back expenses on your own terms rather than being forced to because you were unprepared for an emergency. Looking for a tool to help? Consider looking at Digit. This app/tool automatically moves money into savings for you based on your spending trends. Or check out these other savings account options. If your employer offers a 401k with a matching program, start contributing to it. Before you sign up, check the vesting schedule. The vesting schedule determines when you’ll be eligible to take the portion that your employer has contributed. Not all companies allow you to remove employer contributions right away. Some make you work for several years before you’re eligible. If you plan to leave before the employer contributions are fully vested, then move on to the next step. This year, resolve to become debt ­free. Cut unnecessary spending, create a budget and put extra funds toward your loan payments. Not all debt is created equal. For debt with less than 5% interest, consider only making the minimum payments. You’re likely to earn more investing your money. If you have multiple loans, start paying more on the one with the highest interest. Once you pay off that loan, move on to the next highest interest rate loan and so on. This is called the avalanche method. It will save you the most amount in interest and will help free up money to pay off your debt faster. It’s easy to ignore debt when your finances are otherwise healthy, but make no mistake ­ it will catch up to you eventually. A great FREE tool to help is Credit Karma. They have a free app you can use to track your debt and monitor your credit. Nowadays, many insurance plans are eligible for Health Savings Accounts. You can use HSA funds for qualified medical expenses, and the money you put away will not be taxed. An HSA is one of the small consolations you get for having a high deductible plan. The current contribution limit for HSAs in $3,350 per individual and $6,750 per family. HSAs roll over from year to year and stay with you even if you switch jobs. 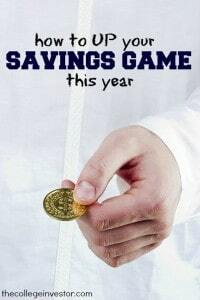 That’s why it’s better to overestimate and save more than you need ­ you’ll be able to use that money anytime. Anyone can open an Individual Retirement Account. You can choose between a traditional or Roth IRA. A traditional IRA allows you to deduct contributions from your taxes now and pay taxes on your withdrawals later. A Roth IRA lets you withdraw contributions tax­free later in exchange for paying taxes on your current contributions. Roth IRAs are best for young, low earners who anticipate they will have more income in retirement. Annual IRA contribution limits are $5,500 per person and $6,500 if you’re 50 or older. The IRS begins phasing out IRA contributions for individuals earning $117,000 and couples earning $184,000. Individuals earning more than $132,000 and married couples earning more than $194,000 are totally ineligible. 401ks remain popular because of their high contribution limit and lack of income restrictions. In 2016, individuals can put away $18,000 plus another $6,000 if they’re 50 or older. That’s more than triple what you can put away with an IRA. Like IRAs, 401ks also have a traditional and Roth option. 401k rules are standard for everyone, except for highly­compensated employees. This is a very small subset of the population and you’re likely to be aware of those rules if you qualify. If you’re maxing out your 401k, I also strongly suggest you check out the FREE tool called FeeX. This tool looks at your 401k and makes sure you’re not overpaying in fees. I love this tool, and best of all, it’s free. There are two kinds of 529s: pre­paid tuition plans and college saver plans. The pre­paid tuition plan allows you to lock in a rate at a particular university. It’s like choosing a college for your child before they’re ready to attend. College saver plans allow investors to choose among various options to save for a child’s education. Anyone can start and contribute to a 529 for a child. Make sure to only invest money you can afford to use on your child’s college education. There is a penalty for using 529 funds on non­college related expenses. Mutual funds and ETFs are popular among investors for their low fees, steady returns and diverse offerings. Once you’ve maxed out your 401k and IRA, starting to invest in these funds can broaden your portfolio. You can buy these funds yourself, consult a financial advisor or set up an account with a robo advisor. Whichever route you choose, compare fees across the board. They can easily eat up your profits and leave with you bubkes. What are you working toward this year? All my savings and investment contributions are on automatic deductions. So I don’t have to worry about doing it. I do have some extra cash to throw into my brokerage account, just to get rid of the buying itch.